Feminized and non-auto-flowering version of our SWS14 (Green Poison®) now featuring ultra-fast flowering. This strain is an F1 hybrid resulting from the cross between an elite clone of our appreciated Green Poison® and a selected 3rd generation of SWS30 (Green Poison Auto®). This strain is ready to harvest with thick buds all covered of abundant aromatic resin only 6 weeks after the flowering photo period begins. This is the rarest and most daring strain created by our team of botanists. Californian Snow is a cr..
A ticket to the fabulous beaches of Cabo and Cancun - all your worries and cares will drift away on ..
We have created this variety for foodies who love marijuana. The mix of flavors offered by our Black..
One of the most famous strains in the world.It’s always fashionable because it’s very difficult to i..
After a long time of careful breeding and work, we finally have our Blue variety, on a Blueberry bas.. Laughing Buddha is a relatively new strain from Barney’s Farm and is a cross between Thai and Jamaic..
With colossal potency levels of 22% THC and incredible flavors, it´s no wonder Girl Scout Cookies is.. Lavender bulk cannabis seeds bring together wonderful genetics from around the world! 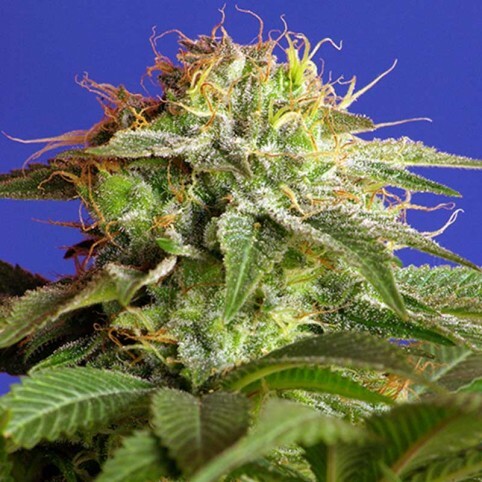 Strains w..
Auto Glueberry O.G.® is the autoflowering version of the hard-hitting, resin dripping photoperiod Gl..
Auto Brooklyn Sunrise cannabis seeds combine a distinctively spicy taste with large yields of frosty..